In your bid to keep your homestead, institution or pathways clean and clear at all times, leaves and debris materials may prove a nuisance. At times swiping the leaves away using an ordinary broom can be ineffective. Therefore, you need to get the best gas leaf blower to enable you eliminate leaves and debris effectively from your compound or pathways. The leaf blowers come in diverse forms. We have backpack gas leaf blowers, hand-held gas leaf blowers, and vacuum leaf blowers. All these leaf blowers are well designed and come with unique features that make them comfortable to work with and provide good services. I will take you through reviews of top gas leaf blowers in the market today to help you make an informed decision when buying. We wish to see you enjoy the best products in the market and strive to make you identify them with ease! Backpack gas leaf blowers are among one of the categories of leaf blowers which are easy to use. As the name suggests, these are basically mounted and operated from your back. They are well equipped with features that enable you to blow leaves off your compound effectively. We are going to highlight three of the best backpack gas leaf blowers in the market today that you might consider for your use to eliminate leaves. This gas leaf blower is one of the most refined products from Husqvarna. It incorporates superior features that make effective when it comes to keeping leaves off your compound. Its design allows you to comfortably operate it from your back with minimal discomfort if any. The leaf blower has quality dampeners which are situated between the engine and chassis to minimize vibrations which would be irritating to you while in use. The offset handle of this gadget ensures full utilization of full blow force with a minimal arm strain. It keeps your arm in place and prevents it from being pulled downwards. It has an X-Torq engine that is designed to minimize the harmful emissions from the gas leaf blower by a huge percentage (60%). This further makes the fuel engine be utilized well and increase its efficiency by 20%. The padded harness and hip-belt of this product are shaped in a way that they fit you well during its use. You will enjoy cruise control from the variable speed throttle that enables you to set desired speed for easier handling. You can either choose a high or low speed depending on your preference. The second item in our list is the PB-770T ECHO 234 mph 765 CFM Gas Backpack Blower as far as backpack gas leaf blowers are concerned. This great product is designed by the Echo manufacturers and comes with superior features.Putting the tool together is easy if you follow the directions provided. It has an air flow of 756 cfm which allows air to come out from the blower with desired force and speed. The airspeed of this blower is 234 mph. This speed can be regulated using the speed control variable feature incorporated in the make of the gas leaf blower. You will find using this gas leaf blower easier since you are provided with the users’ manual. It will guide you through the all basic things you need to consider while operating this gadget. The power-head of this gas blower is steady and can withstand high pressure. The fuel tank can hold a good amount of fuel to run the gas blower for a long time. The handle is made of good quality material to make it durable and strong. It is well positioned to ensure you do not strain your arm while operating it. The product is fully ascertained for use by EPA due to minimal harmful emissions. When leaves start to shed, they end up cluttering your backyard giving it a bad look. Having the Poulan Pro 967087101 Backpack Blower will help you maintain your yard clean. The blower is comfortable on your back and has enough power to get the job done. It comes with 2 stroke engine which has a high capacity of 48cc. This means starting and running the gas blower is smooth. The airspeed is 200 mph which can be regulated using the cruise control feature. The air force from the gas blower is 475 cfm which ensures high efficiency with leaves’ removal. The frame of this gas blower is the heavy duty type made with quality material that is durable and can withstand harsh environmental conditions. Additionally, the machine is not prone to rust so you can expect it to serve you many years. The blower has shoulder straps that you can easily adjust tosuit your comfort needs. On top of that, the handle is very flexible and with a superior opening which is the outlet for the air. This backpack blower also provides you with variable speed throttle control so you can set the required speed according to your needs. To help you extend the life of your product, the manufacturer offers you with poulan pro pre-mixed fuel and oil. This is a mixture of gasoline, synthetic oil and fuel stabilizer that offers the best lubrication, reduces smoke and reduces engine deposits. You can buy this product too alongside with the blower so that it can last longer. Adjustable straps for easier fitting. The second category of gas leaf blowers in the market in 2019 are those operated with your hand being the main supportive feature. These too are equally effective like the backpack gas leaf blowers when it comes to eliminating leaves from your surroundings. Check out our top picks of hand-held gas leaf blowers. The outer design of this gas leaf blower gives a good visual appeal and true to that impressive look, the performance is equally good. The manufacturer of this product seems to be very keen on details since, besides the performance, the gas leaf blower is durable and comfortable to operate. The air volume ejected from the gas leaf blower is excellent for leaves and debris removal; 441 cfm. This air comes out with an impressive airspeed of 170 mph thus generates sufficient force to drive leaves off the surfaces. The gas blower has a very strong taper nozzle which directs the air coming from the engine. The engine is double stroke to ensure better combustion and keep the environment safe. The frame is made of strong quality material that can withstand high pressure making the product durable. You will enjoy a large 2-finger throttle lever which is meant to make operating the gas blower easier. The weight of gadget is considerable which means it is light (8.6 lbs) thus you can operate it for long before feeling exhaustion. In case you are uncertain of operating the gas leaf blower, you can quickly refer to the user manual provided in the package kit. Having trees in your backyard or lawn gives it a good look. But when the shedding season comes, the whole place can look messy with leave and debris all over the place. But if you have an effective leaf blower like the Echo PB-250LN Handheld Gas Blower, maintaining the place clean becomes an easy task. This gas leaf blower has a gas speed regulator which you can use to control the speed at which the gas flows from the gadget. The airspeed is up to 165 mph which is relatively high to serve the intended purpose of blowing leaves and debris of the surfaces. The air flow volume is up to 391 cfm. The tank which holds the fuel for the engine has a capacity of 16.9 oz. The engine is 2 stroke which means proper gas combustion before releasing into the environment. The power head and shaft are made of high-quality materials that are resistant to breakage. Its weight is relatively light which makes it possible to balance while operating the gas leaf blower and work with it for quite some time before feeling fatigue. This product is durable and the grip on the hand feels smooth yet firm. Collecting leaves manually can not only be tiresome but also time-consuming. You don’t to spend a lot of time out there cleaning your yard. To make your work easier, you can get a quality tool like the Husqvarna 952711925 125B Handheld Blower to make your work easier. It has an automatic return stop switch which resets to the on position during starting the engine. This makes it easier for you to start the engine. Using this blower is simple so you don’t expect any hard time using the machine. It has controls that are well placed making it easy for you to access. The air velocity and volume capacity of this blower is quite high making the clearing performance top notch. The air velocity is 170 mph while the volume is 425 cfm. Its cruise control allows you to set your desired speed using the throttle level controlled using your fingers. What is more, you can adjust the blowing tube for better performance and comfort while operating the blower. Moreover, the blower features variable speed throttle control that you can set to achieve easier handling. If you are looking for a reliable leaf blower with a powerful engine, Tool Tuff TEMP UNAVAILABLE Gas-Powered leaf blower is worth considering. You can use this machine to clean your warehouse or yard effortlessly. On top of that, you can use this machine to clean your parking lot. Starting this blower is not complicated. It has a powerful engine which provides the required power for blowing. Again, unlike most leaf blowers, this one has spare parts which are easy to find. The machine is operated from your back and you are able to control the blowing tube comfortably using your hand. It has incorporated features that make it superior to other similar products which are all covered here. The blowing tube is quite flexible giving your hand an easy time and minimizes chances of hand strain. The cruise control is well positioned along the blowing tube to allow you to regulate the blowing speed. The airspeed is rated 201 mph while its volume capacity is 850 cfm. You will enjoy adjustable straps that make the blower fit well on your back. The fuel tank capacity allows you to operate consistently as it measures 2.8 quarts. The make material is quality to last your blower enough to serve you right. When you are looking for a leaf blower, one of the most important considerations that you should check is the blowing performance.Husqvarna 125BVx blower beats many models on the market when it comes to powerful clearing. This is a unique blower with mulching capability when you are using the vac. It is designed with mulching knives that increase the bag capacity and reduce materials. Its performance is great and the lifespan long. This is made possible by its superior quality features that come handy with this blower. It has been made with a fine touch to give you a good user experience. It has an automatic return stop switch which allows you to reset the engine to on position during starting. The smart start feature makes starting the engine much easier and smooth for you. You are better placed to regulate the airspeed using the cruise control which is well set and positioned for easier use and operation. The air volume capacity is quite high; 470 cfm. The air velocity measures 170 mph. The two makes the performance of this gadget very effective in leaves and debris removal. The blowing tube is strong enough to withstand the high air volume capacity and velocity. Even after providing you with the different types of leaf blowers, it is also important to consider some important qualities that make a leaf blower. I have gathered a few tips that will help you find a quality leaf blower that will meet your needs. The performance of your gas leaf blower is highly pegged on the air velocity and volume capacity. These two aspects determine the force generated by the gas blower to remove debris and leaves from the surface. You should thus check to see that the gas blower you are acquiring for use, whether commercial or domestic use has a good volume capacity as well as high air velocity. The air velocity for a quality gas blower that will be effective to serve you right should range around 160-250 mph. Similarly, the air volume capacity should be ranging from 300- 1000 cfm. The higher limit can exceed but we advise against having low air velocity and volume as this would mean low-performance standards. Your back is a very sensitive part of the body and should be treated with great care else you risk having complications in the future sue to back strains. To ensure you stay safe and free of risk of back strains, you should check the fitting straps for your backpack gas blowers to ensure that they are comfortable and adjustable to fit you accordingly. Having fixed straps may mean using sagging gas blower on your back which exposes you to massive risk. The engine of the gas blower is the powerhouse where the fuel is combusted before being released into the environment as a gas. This thus implies that the engine should have an effective stroke and power to burn down the oil completely before being released into the air. Failure to this leads to harmful emissions that can be hazardous when inhaled by human beings or even animals. Having a powerful engine with double stroke ensures complete combustion of the fuel and makes the gas blower environmental friendly. The blowing tube for the gas blower you select has to be one that is steady, strong and flexible. This makes the blowing tube have the ability to sustain the high pressure generated by the fast blowing air from the gas blower engine. Flexibility means that your blowing tube can be adjusted in length to minimize chances of bending and hurting your back, especially for hand-held gas blowers. Flexibility also means the blowing tube is not fixed and can move accordingly while one is operating the gas blower. If you are not keen, you will acquire a machine with weak blowing tube which will break down as soon as you begin using the machine. 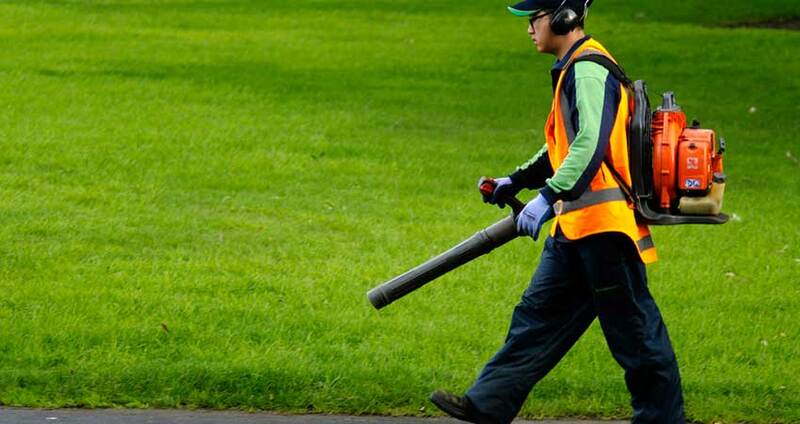 Gas leaf blowers are a good solution to keep leaves and debris off your surfaces and leave them sparkling clean. The machines are effective in their performance owing to the fact that they come with superior quality features. You ought to sample the great diversity of gas leaf blowers in the market and discover your taste; it could be the backpack gas blowers, the vacuum gas blowers or even the hand-held blowers. In regardless of the choice you make, what is important are the features that come handy with these blowers. You should take your time to cross check the features before purchasing for optimal performance and better results.